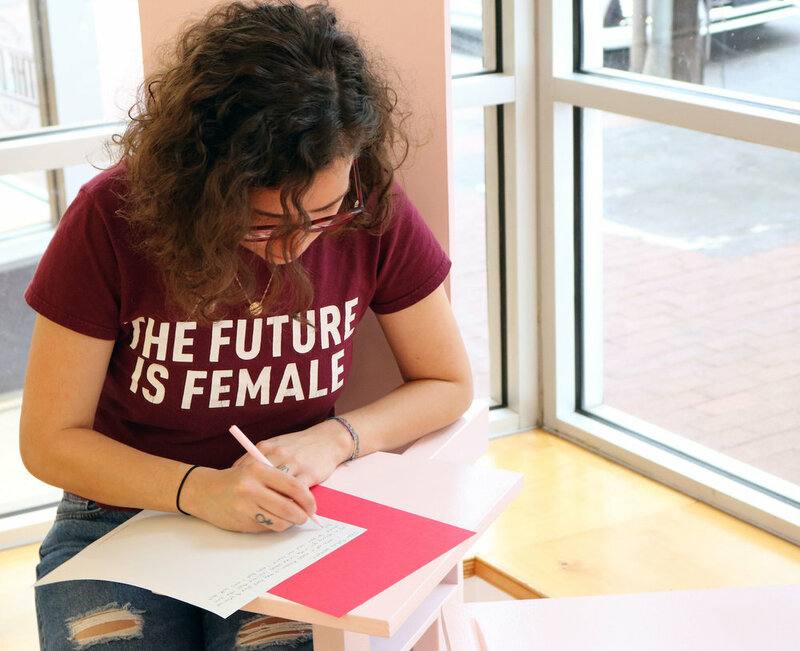 To Future Women launched in Washington, DC on the one year anniversary of the 2017 Women’s March, a few months after the #MeToo movement exploded. 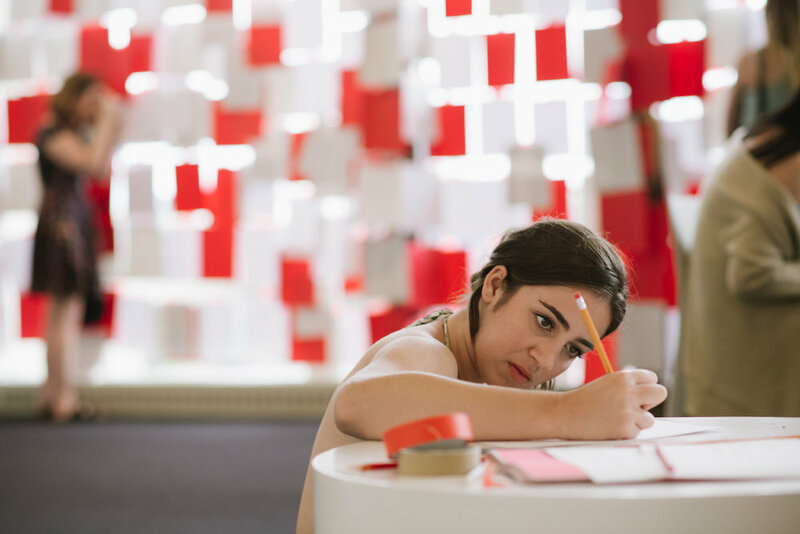 In six months, To Future Women intervened in The Phillips Collection, the Hirshhorn and the Smithsonian Arts & Industries Building. 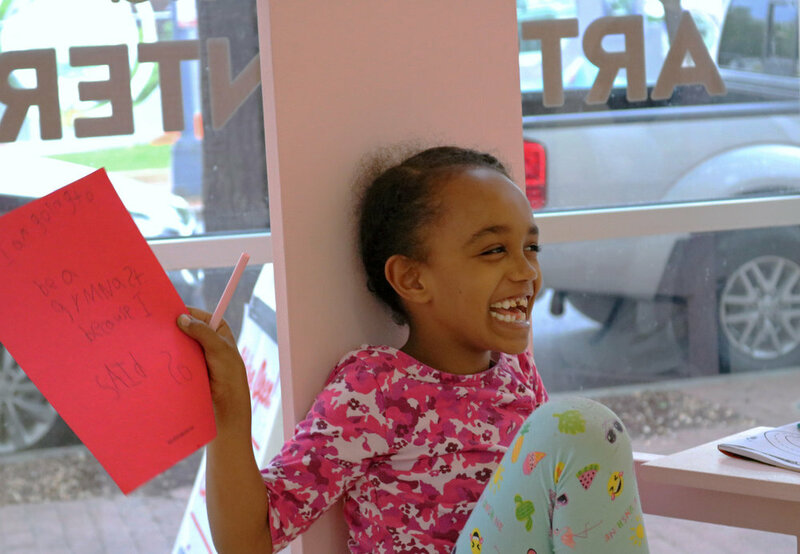 To move beyond the city’s center, it travelled to Anacostia Art Center. 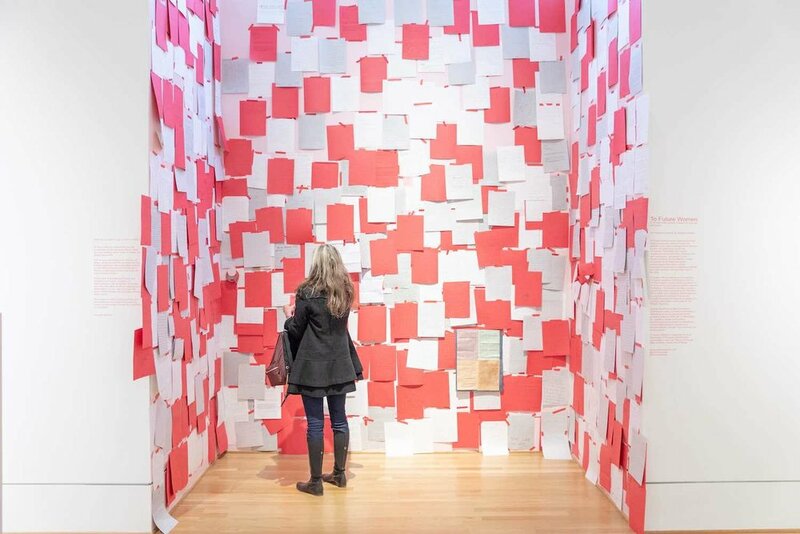 Finally, the artist reinterpreted the project into an artistic sacred space at IA&A at Hillyer gallery. 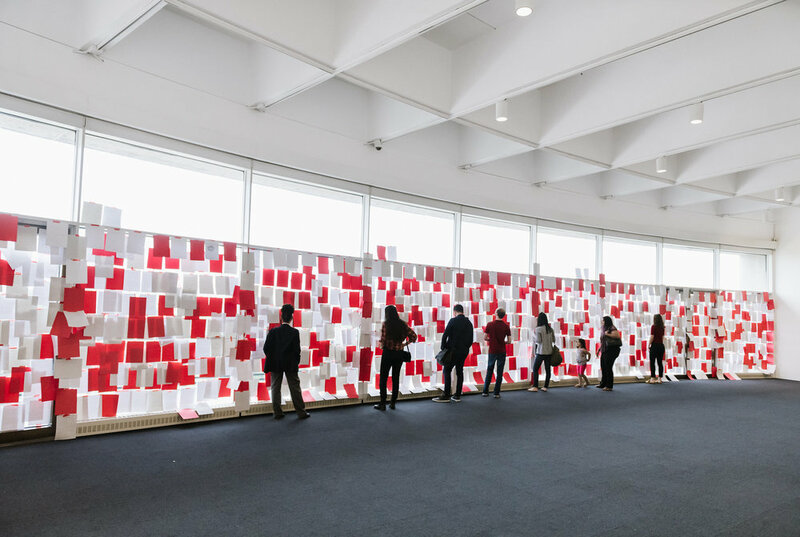 To Future Women was presented at the Hirshhorn Museum and Sculpture Garden in the Lerner Room gallery because of its large-scale windows overlooking the National Archives and the National Mall. 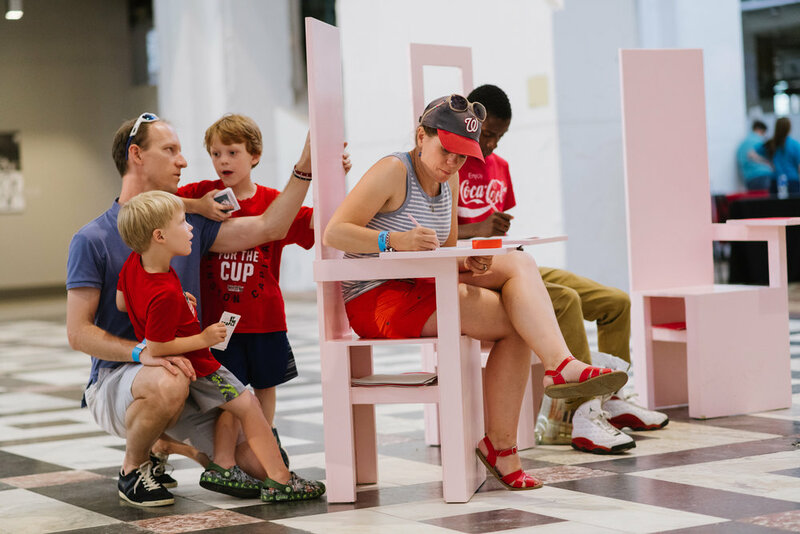 To Future Women intervened in the entire system of the Hirshhorn’s public programs with Museum Tours focused on women artists, feminist Storytime for children, Artist Talks and a participatory Circle Discussion. 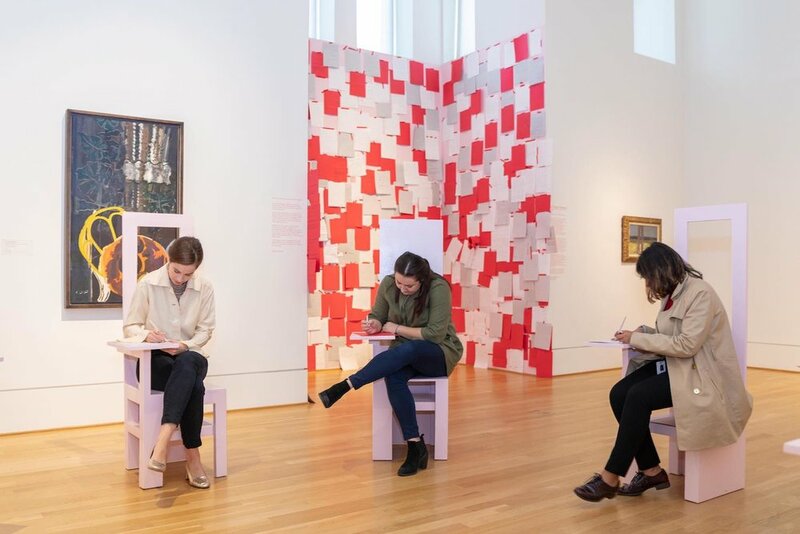 Entitled ‘Archives & Lullabies’, this discussion explored women-driven systems of knowledge transmission as a method of revealing and disrupting hierarchies within the Smithsonian’s collecting and archiving processes. 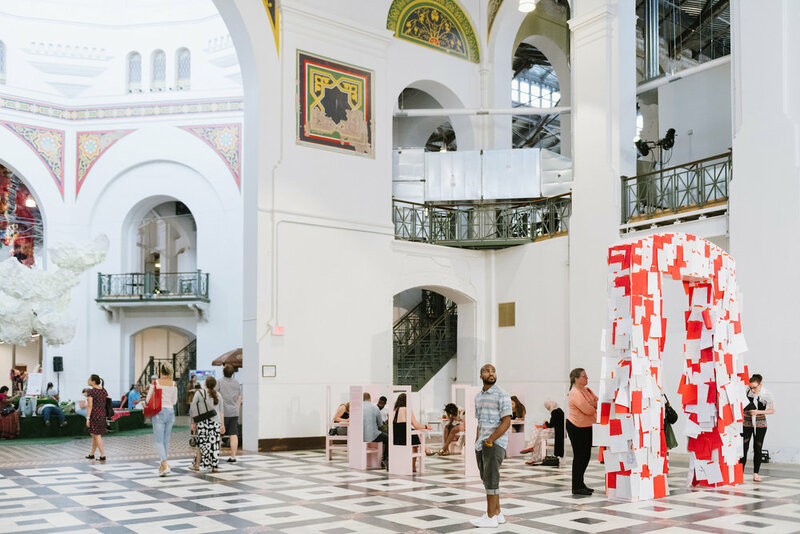 For the inaugural By The People - the arts and social dialogue festival of Washington, DC - To Future Women occupied the historic Smithsonian Arts & Industries Building in a group exhibition with artists like Jenny Sabin, Dan Steinhilber and Maya Freelon. Read The Washington Post about the festival here. 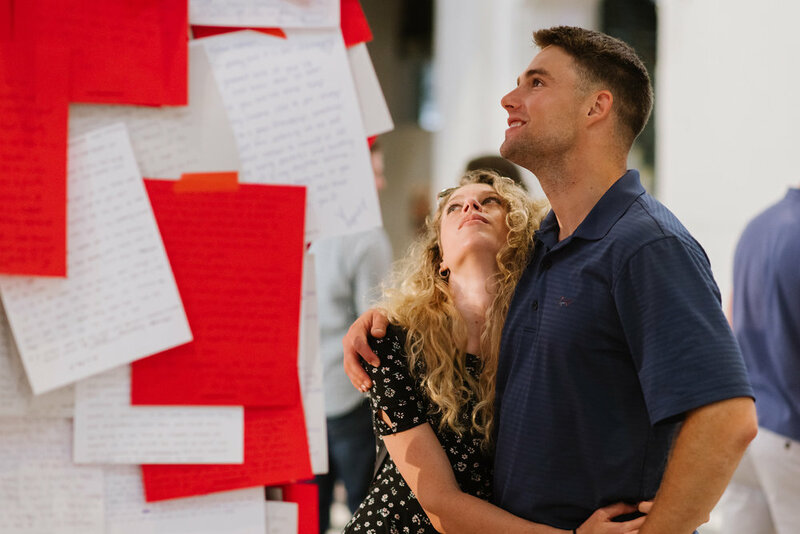 Several thousand members of the public visited the exhibition over one weekend, and participants adorned an archway that echoed the architecture of the building. 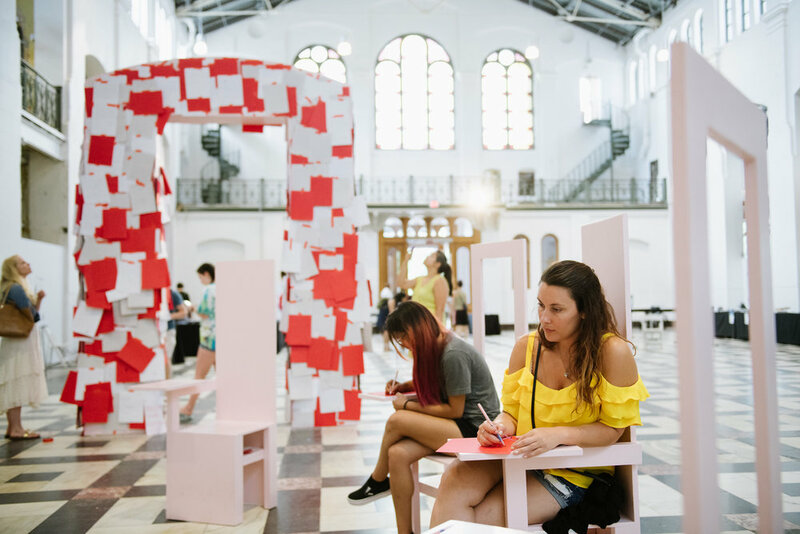 As part of the festival’s programming, the artist gave a talk on the Arts and Civic Engagement. 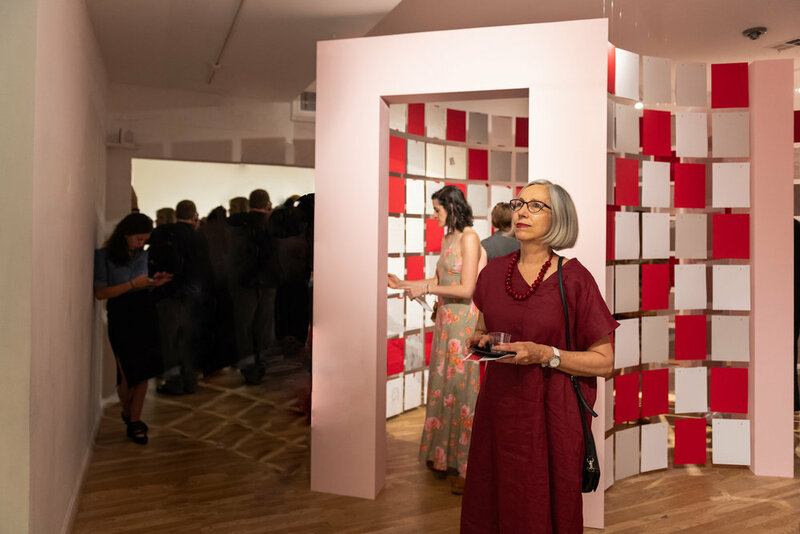 In this solo exhibition, artist Georgia Saxelby re-interpreted the To Future Women project into an artistic sacred space. 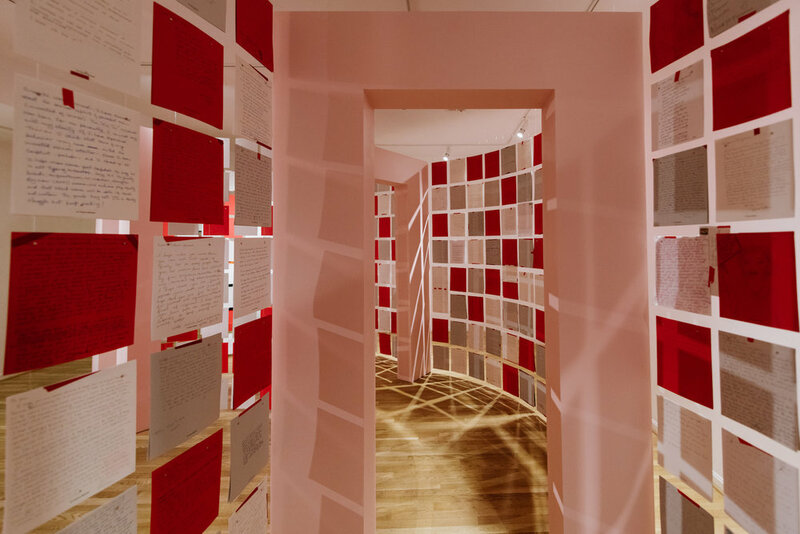 An inhabitable installation transformed letters received throughout the project into a processional chamber that revealed our hopes, anxieties and anticipations for a new future generation of bold women. 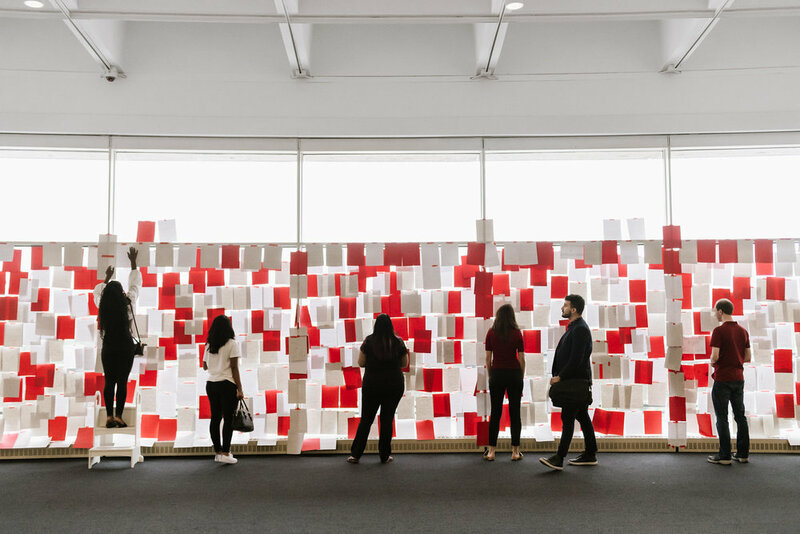 The installation draws on the ritual action of procession and the notion of the numinous gateway, a threshold space that stands between known and unknown, bridging the present and the prospective. 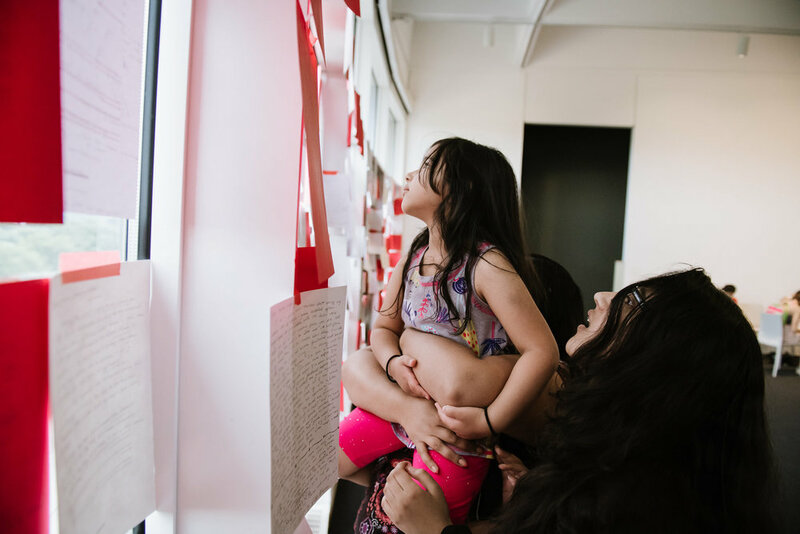 This exhibition was the last time the Washington, DC To Future Women letters will be visible before they enter a time capsule for the next 20 years. To Future Women was first presented as a one month solo exhibition at The Phillips Collection, launched on 21st January, the one year anniversary of the 2017 Women's March. 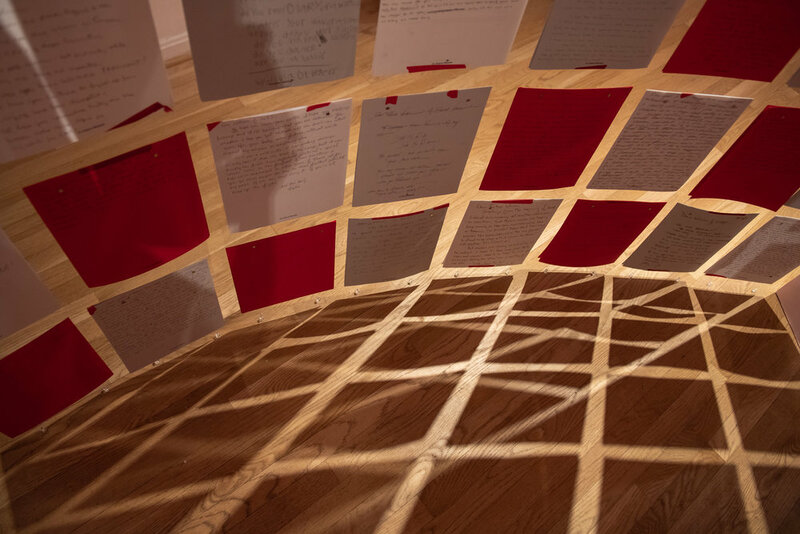 Participants wrote their letter in the museum’s central gallery, surrounded by Braque and Mondrian paintings. 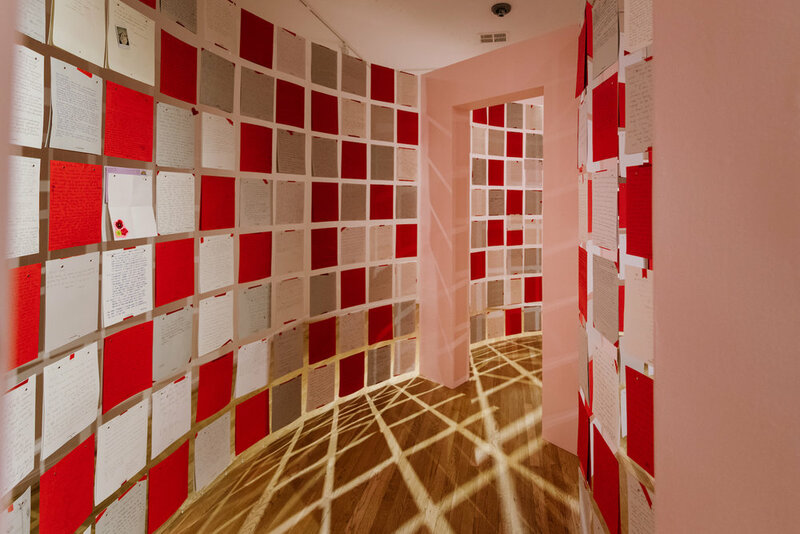 The project engaged directly with the museum’s architecture, displacing paintings on a nearby wall which was transformed from white to pink, becoming shrine-like once filled with several hundred letters.